I am not happy with the quality of my blogging in recent weeks. The few days in Atlanta allowed me some time to think a bit more critically about why I blog, and I was surprised to realize that I didn’t miss being away from it. I actually thought about bringing my laptop to Atlanta for blogging purposes, but thankfully I decided against it. I am certain that not bringing it made for a much more pleasant trip. As many of you know I have maintained a fairly steady schedule of blog posts since starting in November 2005. On most days you can read at least one post and sometimes as many as three. While the amount of time I spend actually typing in a post is surprisingly short I do think a great deal about possible topics and whether they would make for interesting reading. The other aspect that I am somewhat wary of is the extent to which my cynical side has emerged in my writing. I’ve been criticized for the way I’ve referenced the writings of others and perhaps it is even justified. Still, I stand behind everything I’ve said even if the tone could have been more palatable for some. Let me say up front that I never thought of this blog as a way to make friends. Links have been added by others to this blog and taken off for various reasons; at no time did I take it personally. This sense of community is apparent among CW bloggers and for some I imagine that it is of some value. For me it is more illusory. That’s not to say that I have not enjoyed communicating with other bloggers just that I don’t necessarily blog to make friends or as a means to interact with others who share a common interest. Issues surrounding how we write and think about the Civil War (and American history generally) matter to me for a number of reasons and at times that has emerged in my writing. I’ve read that the average life of a blog is somewhere around a year. There is a great deal of excitement early on which translates into a flurry of activity, but this eventually trails off into fewer posts and an overall lack of substance. I now have a better sense of why that happens. Bloggers begin to rehash old arguments and strain for fresh material and this tends to be accompanied by a certain amount of frustration. Along with this is the feeling of obligation to those people who stop by at least once a day and often more than once. There is a danger in allowing this to drive your blogging; for me it detracts from why I got into blogging to begin with. Admittedly part of what is difficult for me to come to terms with is the fact that I tend to obsess about certain things; in other words, I find it difficult to pace myself. 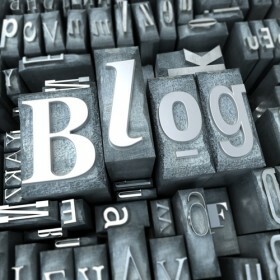 In the case of blogging I find it especially difficult to pace myself because I tend to think that blogs should be updated on a regular basis. I often wonder what’s wrong with those people who post infrequently (LOL). In short I don’t want to end up posting for the sake of posting. If you happen to be concerned that I am signing off let me assure you that I am not going anywhere. What I am trying to say is that I do need to figure out how to proceed. You may notice a change in the number of posts over the next few weeks. To be honest I don’t know what will happen, but I do think that a healthy reassessment of what I am doing here is necessary. As a music historian with interest in the time period you discuss, but no formal training in the historical side or time to look for all the recent information published, I thoroughly enjoy reading your blog. I’ve found your writing to be both accessible and thorough — a difficult task. Several times I’ve even been inspired to pick up a book or track down a magazine article based on your comments. Don’t always agree, but find your comments stimulating. Best of luck deciding how to proceed. Just wanted to say I’ve appreciated what you have done to date. I really enjoy reading your blog, but I understand your position. I myself am feeling somewhat the same…wondering how to keep things *spicy. * Best of luck with your decision-making. Oh, and I dig the new design. Very nice. Sounds like you’re getting burned out, which would be a natural response to the unbelievable volume of material you’ve been posting on a daily basis. We all have different reasons for blogging — I started mine as a way to keep writing, in a freer venue than a message board, and to some degree, to have another online presence that would serve as a portal to the Civil War Forum, which is hard to find with ordinary search engine terms. But from the start, I made it a point to keep it casual, in manageable chunks — more like a columnist’s job, holding forth at least weekly and maybe a little more. I wanted it to be fun to read (informative, and with a bit of humor). I’ve also (for the most part) sworn off personal journal type entries, since that’s the kind of thing I find awkwardly narcissistic and boring about so many other blogs (other readers may find that interesting, as it fleshes out the blogger). And I chose to keep it free of political diatribes, or boorish scoldings of other bloggers. For all those reasons, I still feel somewhat fresh whenever I get around to writing a post, and it’s never become burdensome. I’m sure I lose readership because of it, but regulars know they can tune it once or twice a week and find something new. You have a great blog going, but with far loftier aims than many others in that you’re endeavoring to maintain a venue that offers meaningful exploration of an area of Civil War scholarship. And it’s important to you to be taken seriously by web-surfing members of the academy. That in and of itself is a tall order, but you pull it off with thoughtful, and relevant commentary. But if you’re writing more than some of us have time to read, you may be wearing yourself out. After a little hiatus, cold turkey, it’s no wonder you’re rethinking the value of the whole enterprise. If I were you, I’d start by jettisoning the extraneous posts, e.g., the obligatory rebuttals to something Dimitri writes — (I think provoking such replies is one way he amuses himself). Or, at the very least, cut back on the multi-post days. You’ll still get traffic — don’t we all keep abreast of Grimsley’s blogs, even though he sometimes goes long stretches without adding new content? We keep going back because we know it will keep paying off. Yours has the same kind of following. You don’t have to kill yourself, or take more time away from your own research and reading, or your wife, to maintain that following. I concur wholeheartedly with those above. Another aspect of your approach that I like is your running commentary on teaching methods. While I’m not a teacher at the moment, I would think that other educators find that useful. Keep up the good work. Thanks everyone for the kind words and suggestions. David really drove home his point when he noted that I am writing faster than people have time to read. Over the past week I’ve been forced to come to terms with the fact that blogging is mildly addicting. That fact alone is not necessarily problematic unless the addiction is about something other than the intellectual component of the enterprise. All the best to you no matter what you choose. Though I have not always agreed with you I have always enjoyed your blog. How boring life would be if we always all argreed. I have saved a number of your blogs about how memory works and what it can mean for the long term development of memory, understanding, and story. Much of your process fits very well with a project I am working on about building a personal cosmology. Although my work is in the field of Catholic theology and catechetics, you have given me great insights into how a culture’s story is not always in line with actual history. We are shaped as much by the reality as by what we preceive the reality to be. Richard, — Thanks for the kind words. I am pleased to hear that some of my posts have been helpful. I too find the question of how we form and maintain an identity to be extremely intersting, and you are right on target in drawing that distinction between reality and how we perceive reality. The question of how we create self-narratives on both the individual and collective level is what fuels my interest in Civil War memory. I can easily see how these questions lend themselves to issues relating to how we see ourselves and our environment within a religious context. Next post: Internal or External: A False Dichotomy?